Due to the variety of equipment, the article does not go into details perform root process on a particular Android device, which only refers to the advantages and disadvantages from the root machine. If you are an Android user, surely the phrase “root” and the answers to questions such as root mean, gains and losses from that this is what you are interested. The AdvantagesBasically, the root an Android device is the highest level for control to intervene directly in the file system of the device. With the original Android device (no root) when purchased new, the user has only the right to use equipment similar account (Guest) on a Windows computer. Root is a term intervention directly into the file system of an Android device to gain the highest use. Photo: Tomsguide. The most significant advantage is holding all the right “look” on the file system of the operating system as well as all Android devices. Root application lets move from ROM to a memory card left, contributing to improve the storage capacity of your Android device. Photo: Samzkingdom. With powers “Supreme”, the installation of additional applications that allow one processor clock settings manually (even higher than specified by the manufacturer), or reset the “location” Cache of applications such as Play Store, Maps, Browser …can be done quite easily. In addition to the installation of more powerful applications (in addition to the online application store) to the system, the user also has the option to remove apps pre-installed on your machine before shipped; moving applications from ROM to the removable memory card. This actually makes sense for Android devices which have limited capacity ROM. The root machine is especially meaningful to the user object with experience, love to explore, because they can use their maximum power equipment. Specifically as to create an entirely new backup image file full system backup on the memory card so much better if compared with the default recovery feature on native Android devices. Another valuable reason is the installation of an entire ROM replacement for the original ROM of the device. The ROM replacement is usually the newer Android version was different developers to customize the display interface, power consumption or fix their disposal to optimal operation. A number of Android devices on the market often have a new ROM update on the site specializes in providing reputation as XDA-Developers, AndroidSpin. 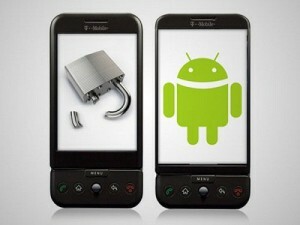 Besides the attractive convenience factor, the root an Android device has its own disadvantages. Most notably its warranty and the ability to recover if the root process fails. Root mean the denial of the right to be free from vendor warranty equipment. Photo:Blogspot. The root is the decision of each individual machine, so keep in mind that every manufacturer has refused to guarantee the Android device (root) even if the time limit is still in effect. Currently, only a handful of Android devices can un-root (restore initial state), while virtually most other machines will become “map paperweight” permanently if the real root a. In addition, the root is not entirely successful performance means “machine” will be multiplied. A small number of Android users also said that while trying to improve speed as well as add new features, they have lost all the inherent features of the device whether root process takes place smoothly. In addition, the root and install a ROM replacement will make Android devices have a higher risk of viral infection. In summary, the root completely different machine on every Android device, and is the decision of each person. So, consider, learn thoroughly about the compatibility of the device that you are using before you decide to root or not.